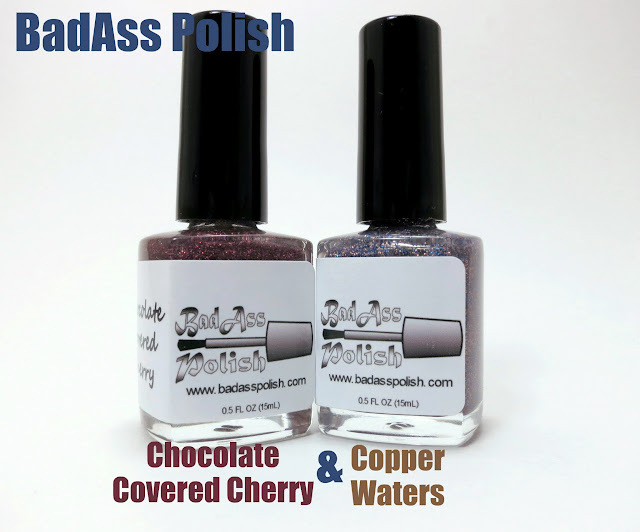 Chocolate Covered Cherry is a combination of micro bronze and pink holographic glitter. All nails are 4 coats with a top coat of Seche Vite. For neither of these polishes was I able to capture the true sparkle they throw off in the sunlight. :( But I can attest to them being amazing in the sun! Formula of Chocolate Covered Cherry was perfect; I clearly had no trouble getting any glitter out! :P It also dried quickly and even though I used 4 coats to build up the color to be opaque, it can be used as just a "glitter topper" if you prefer. It dried with a matte look, but one coat of Seche Vite helped that out. I know in my close up photo it still looks "gritty", but macros show way more than I could see with my naked eye. ;) The color is beautiful and the added pink holographic glitters really pop against the other darker glitters. Copper Waters is a mixture of micro copper and bright blue holographic glitters. I used 4 coats with a top coat of Seche Vite. Formula for Copper Waters was the same as Chocolate Covered Cherry, but I was able to catch a little more sparkle in these photos. ;) Again, even though I built this color up, it works just as well over another color. :) Also remember I use thinner coats, so my 4 coats maybe a 3 normal coats. Even with so many coats it had zero problems drying quickly. 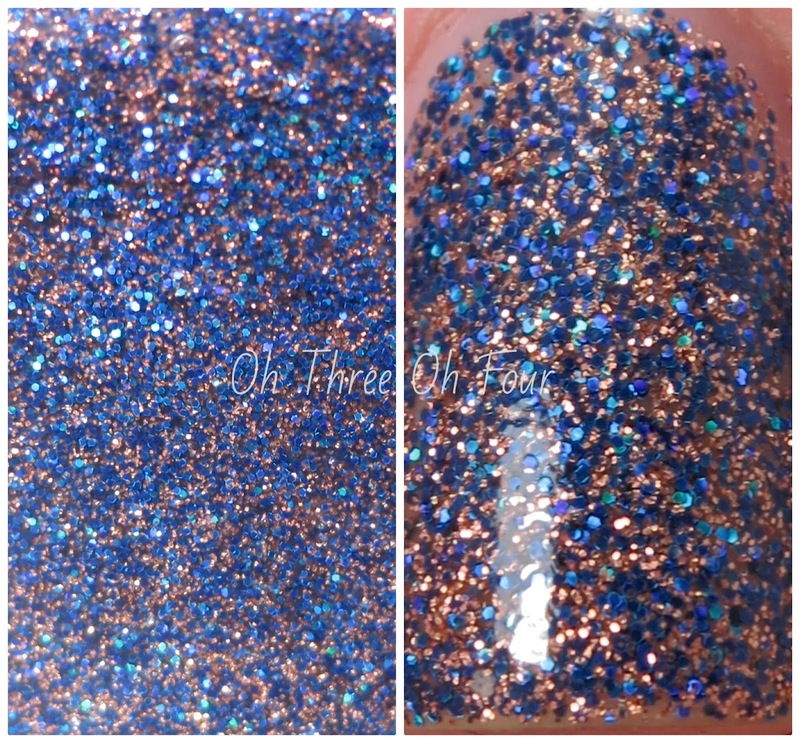 I love this color, those blue holographic glitters are to die for!